Bravo, I am amused and amazed at how you get to spend your now “free” time as a retired person! 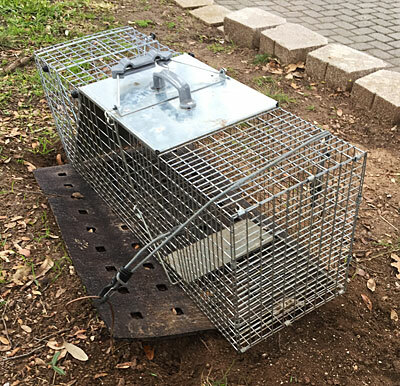 You are now making a better “varmint” trap, buying sardines and then writing about your adventures and efforts! I think there is some weird conspiracy going on, as I also spend my “free” time cleaning and monitoring formerly feral cats, sequestering them in various rooms to prevent fights and messes, cleaning up messes when afore mention plans fail and starting over the subsequent day. Although I have much less afore mention “free” time to write about these adventures and efforts, I do occasionally mention them on FB. It seems you have a non ending number of varmints to keep the cycle of planning, executing and writing going on forever. I am counting down the approximate 12-19 years (approximate lifespan of indoor cats) left of planning, executing and writing about adventures and efforts in cat management, as I have learned my lesson. I discovered my downfall; hubby, who claimed to be a cat hater, turned out to be a kitten lover and subsequent cat lover and refused to release domesticated larger kittens to adoptive parents. I no longer feel the pull to rescue feral kittens from certain death because my dogs viewed them as unwanted varmints. I saw them as helpless furry, innocent victims. I now encourage my hunter dogs to discourage any and ALL feline non members of our home from coming near our house! Feral cats and kittens are to be considered varmints of the worst kind. 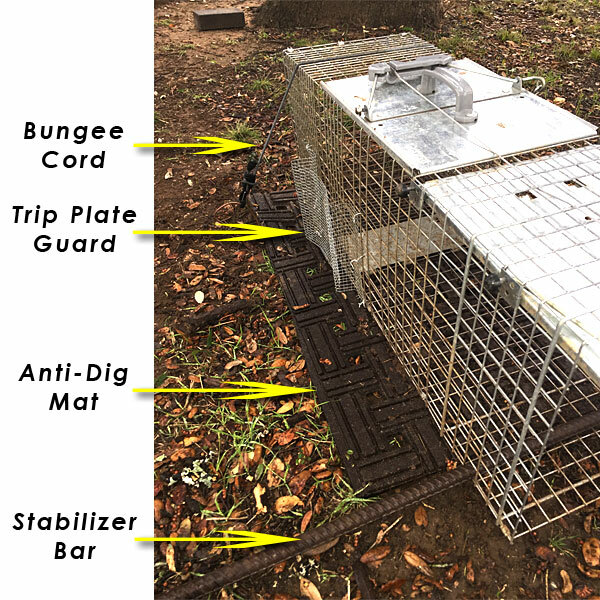 Success as you move raccoons, opossums, and skunks away from your home. I feel your pain, although I must admit I enjoy your recollections of said adventures. Knowing where you live, and adding to the equation you merely move them away and don’t exterminate them, I’m sure I will be entertained by your stories for the foreseeable future. Your friend and fellow victim of furry conspiracies. Thanks, Cerise. I trapped a cat once. Neither of us found the situation satisfactory. While our situations may seem similar on the surface (2018 is the Bulgarian Year of the Alliteration), I at least keep my subjects out of the house. That seems to work better for all of us. Leave a comment. It makes us happy. This page contains a single entry by Eric published on December 31, 2017 6:57 PM. The Child is The King was the previous entry in this blog. A New Year's Day Surprise: Ice Flowers is the next entry in this blog.